I recently came across the work of a talented artist called Sarah Harrington and her hollow cut silhouettes. 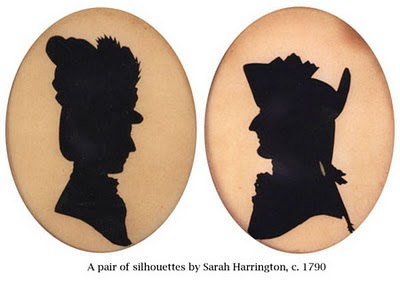 Sarah Harrington was professional silhouettist who worked during the latter part of the eighteenth century. What struck me in particular about about her work, apart from her obvious love of hats, is that they are all cut inside-out. During her career she visited many parts of the country in the pursuit of her art. 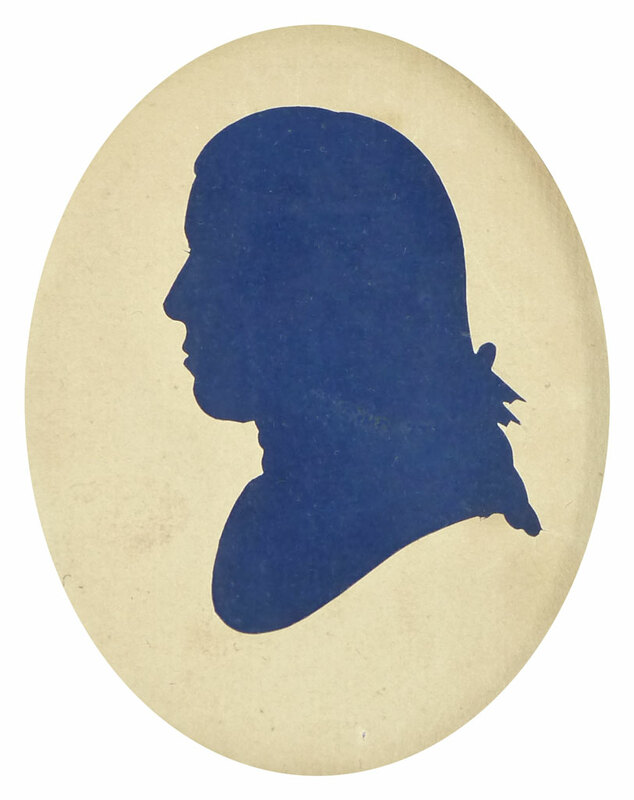 She made hollow-cut silhouettes of many prominent people of the day, including King George II. She also made some painted silhouettes. What I mean by “cut inside-out” is that her profiles are all cut out from the middle of a sheet of white paper (now rather yellowed.) 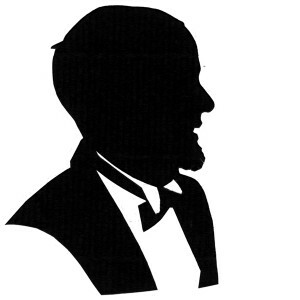 The silhouette was then created by placing a black material, eg. silk, behind the cutting. As there are no entry lines in the profile she presumably began each silhouette by stabbing the paper with the points of her scissors. The proper name for this technique is “hollow-cutting”. Many of Sarah Harrington’s silhouette are backed with dark blue, rather than black, paper. One of the advantages of the technique is that you can change the colour of your silhouette very easily. Ever curious, I’ve been experimenting with the technique myself. It’s surprisingly difficult. I’m finding it awkward to turn my scissors freely, but enjoying the challenge of learning something new. Strangely, the natural direction of the profile is reversed. For a right-handed artist the conventional wisdom is that it’s easily to cut the right profile than the left. However, with hollow cut silhouettes the reverse is true. It’s easier for the right-handed artist to cut the left profile. Of course I’ve no idea yet if this technique will ever have a commercial application. Perhaps I’ll get booked by a modern day manufacturer of black silk? I so, this would be the perfect way to make silhouettes out of silk. Do you perhaps have any other ideas about how to revive this ancient profile technique?